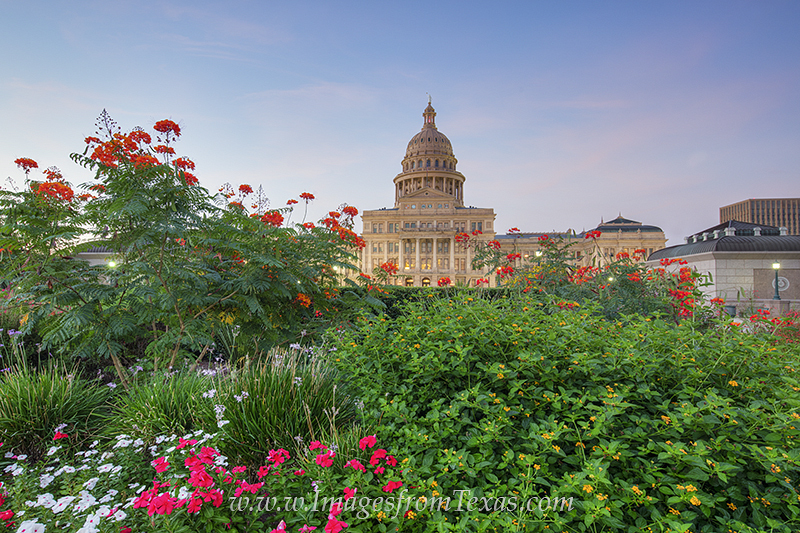 The Texas State Capitol sits on 22 acres of beautiful land filled with walkways such as the shaded Great Walk on the south side and the Oval Walk that surrounds the building. Statues commemorating important events in Texas history are also scattered across the Capitol Grounds. In this image taken on a September morning, colorful flowers enjoy an early Fall morning as the 308 feet tall granite building rises in the background. Photo © copyright by Rob Greebon.